EDINBURG — A grievance filed last month against the Edinburg school district leadership was briefly halted as those who filed said district officials are not respecting the process. The grievance was filed against “the superintendent acting through Rebecca Morrison and Ron Cavazos,” confirmed a spokesperson for the American Federation of Teachers. And because the superintendent, René Gutiérrez, is a subject of the complaint, the request was filed as a Level 3 grievance, meaning it would have to be heard directly by those above the superintendent: the board of trustees. But a few weeks ago, the teachers received an email at about 3 p.m. on a Friday stating the Level 1 or 2 grievance hearing would be held the following Tuesday, catching them off guard, they said. AFT attorneys requested to change it to another date and for it to be considered a Level 3 investigation, but even as the day has now been rescheduled for Wednesday, May 10, the lower level designation remained the same. Board policy states a Level 1 or 2 grievance hearing will be presided over by the superintendent or an official appointed by the superintendent, then they make a decision and if the relief is not seen as appropriate by those filing the complaint the grievance moves on to Level 3. In short, the complainants fear that a Level 1 or Level 2 investigation means that the superintendent is investigating himself. The complainants argue that having the superintendent self-investigate the grievance, or directly appoint the person who will, should be out of the question considering he is included in the complaint. Kevin O’Hanlon, attorney for the school district, said the grievance must be heard at the lowest level possible, as per board policy. And because the grievance is concerning district procedures rather than personal misconduct, the superintendent and the district’s legal counsel need to understand what the complaint on this process is before bringing it to the board. “One of the things that we want to do in the hearing is that we want to understand what the legal position on what they were doing in that meeting,” O’Hanlon said. The grievance stems out of the District of Innovation process in which a district committee, formed mainly of teachers, were instructed to vote on a recommendation using identifiable ballots. The committee had previously decided to conduct the vote using anonymous ballots to protect teachers against intimidation and retaliation. But moments before the vote was taken, district Assistant Superintendents Morrison and Cavazos stated that Gutierrez had directed that they were to vote using identifiable ballots. The committee conducted the vote, which led to 30 in favor of the District of Innovation designation and 22 against. But they decided to also conduct the anonymous vote for their own records, resulting in 19 votes in favor and 30 against the designation. But O’Hanlon, who confirmed the superintendent is the main subject on the grievance, warns that there is a possibility that if this vote constitutes an official governmental function or decision, such as that of a public school board, the vote could have not been conducted anonymously. The grievance is not, as he understands it now, intended to request reprimand for a specific person, O’Hanlon said, but to solve any mistakes brought to light by this process by putting policies in place that aid committees and administrators when dealing with these types of unique situations. As for now, the district will conduct the initial hearing at a Level 1 or 2 for next week, when only the complainants, their attorney, the superintendent and the district’s attorney will be present, he said. After that, the superintendent will have 10 days to issue a resolution to the issue and if the complainants are not happy with that, they can appeal and take the issue directly to the board. 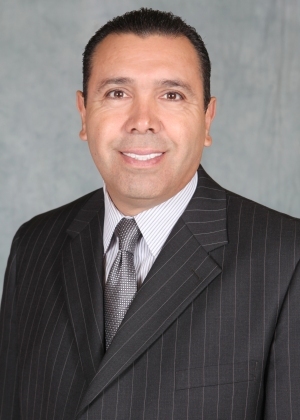 For Balderas, the plan has never been to make the district look bad, but to continue moving forward with the process to ensure that any misunderstandings or mishandling of the situation is resolved.